The PPF will be implemented by the Ministry of Agriculture and Food Security through the National Directorate for Planning and Cooperation (DPCI). UA1.000.000,00 (one million UA) be granted to the Republic of Mozambique under the ADF Program Preparation Facility to finance the detailed infrastructure, economic, financial, social and environmental feasibility study for the Value Chain and Market Development Program. With the purpose to finance the preparatory activities and detailed feasibility studies in relation to the Value Chains and Market Development Program Along Pemba-Lichinga Corridor (VACMAD) one million of Units of Account (UA 1 000 000) where advanced to the Government of Mozambique by the African Development Fund. 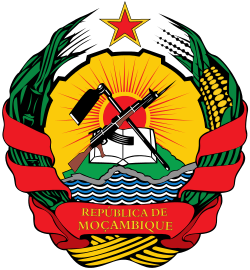 The Government of Mozambique through the Ministry of Agriculture and Food Security (MAFS) intends to apply these funds to recruit a consultancy firm using the Quality and Cost Based Selection (QCBS) method, consistent with the “Rules and Procedures for the use of Consultants”, May 2008 Edition, Revised July 2012. Individual consultants shall be competitively recruited, and audit firms will be recruited under Least Cost Selection (LCS) method.